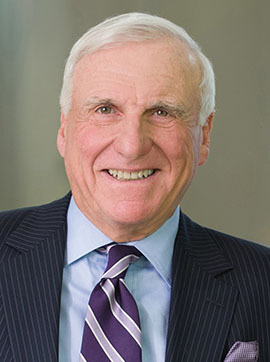 Mark Goldstein, one of the founders of the firm, is a member of its Corporate, Financial Services, Estate Planning and Estate & Trust Administration practice groups. He concentrates on corporate, business, estate and tax planning and advises large and small corporations, general and limited partnerships, associations and proprietorships on sophisticated business planning issues. He represents a large number of estate planning clients and is well respected for his ability to communicate and implement complicated plans in a practical manner. Mark has significant experience in structuring and negotiating business and financing transactions, reorganizations and private placement syndications. He has served as general partner in a number of real estate limited partnerships which have purchased, constructed and managed commercial and residential developments. A former president of the Montgomery County Bar Association, Mark is also a past president, treasurer and member of the Judicial Selections Committee of the Montgomery County Bar Foundation. He was appointed to a two-year term as a member of the House of Delegates of the American Bar Association and served as a panel member of the Maryland Attorney Grievance Commission. In his contributions to community, Mark has an equally impressive resume. He is currently a Trustee of the Shady Grove Adventist Hospital Foundation, a board member of the U.S. Committee Of Sports for Israel (serving as co-chairman of the Washington, D.C. Golf Committee), an Executive Committee member of the Legal Division of Israel Bonds, a past director of the Washington Hebrew Congregation, a member of the Bethesda-Chevy Chase Rotary Club and a board member of the American Organization for Rehabilitation through Training (American ORT). Most recently, he was named chairman of the Governing Members Division of the Baltimore Symphony at Strathmore Hall Center of the Performing Arts in Rockville, Md. 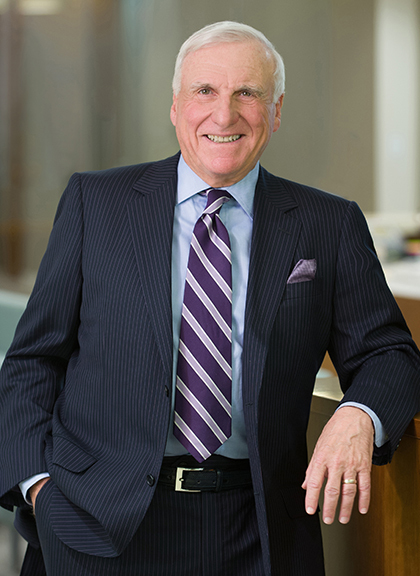 Mark has lectured extensively on estate and tax planning, business organizations and bankruptcy law. He is a Trustee to the Montgomery-Prince George’s County Legal Institute and is on the Estate Planners Council of Southern Maryland.